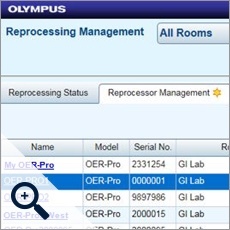 The Olympus Knowledge Exchange System (KE) is a next generation software platform offering facilities centralized reprocessing record and image management through expanded connectivity of Olympus devices. 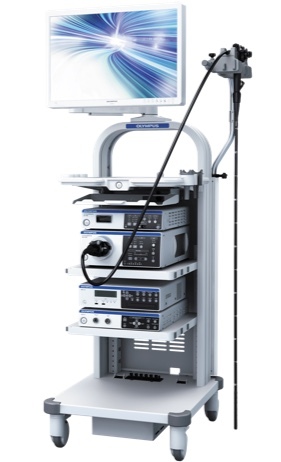 The KE modular platform is built around standard communication protocols HL7 and DICOM which provide interoperability with most modern EMR, RIS and PAC systems. 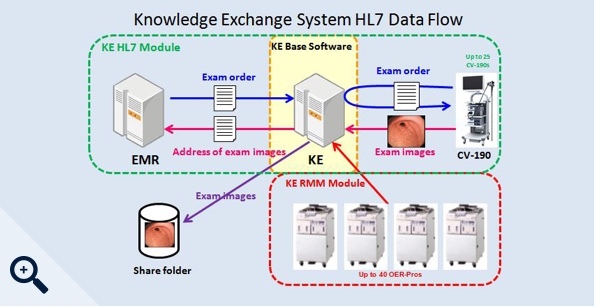 When the KE communication and reprocessing management modules are used together, patient and procedure data flows seamlessly between the procedure and reprocessing rooms. The KE system streamlines error prone keyboard and mouse data entry by allowing users to use an easy search function in the Olympus CV-190 interface. Users can save time and reduce data entry errors by retrieving exam and patient information from their RIS or EMR system(s) with the KE HL7 or DICOM modules. 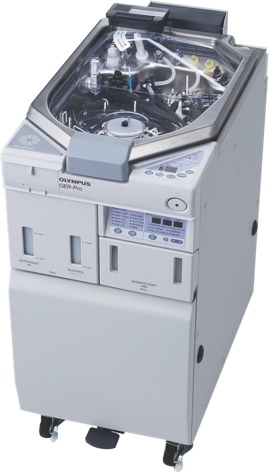 With propriety knowledge of the Olympus CV-190 video processor KE HL7 and KE DICOM offers the ability to transfer procedure images to a PAC or EMR system at the highest resolution available. 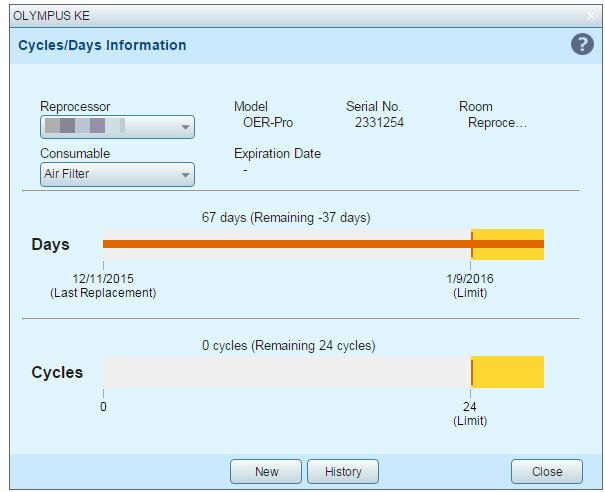 The KE Reprocessing Management Module (KE RMM) is critical to achieving quality outcomes in the reprocessing room. An OER-Pro outfitted with KE RMM offers users the technology to electronically track reprocessing outcomes and indentify quality issues that can adversely affect patient safety. The KE RMM data architecture makes merging patient, procedural and reprocessing records possible. By merging this disparate data together KE RMM allow users to demonstrate compliance with regulatory and accreditation agency standards. 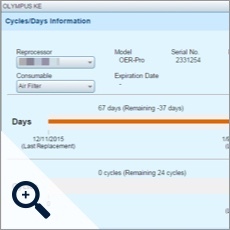 Alert users if an endoscope with gaps in reprocessing documentation is plugged into the Olympus CV-190 processor. Display graphs that show use life and cycle counts for consumable thresholds. 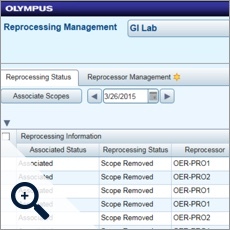 The Reprocessing Status dashboard shows all your daily reprocessing activities at a glance. 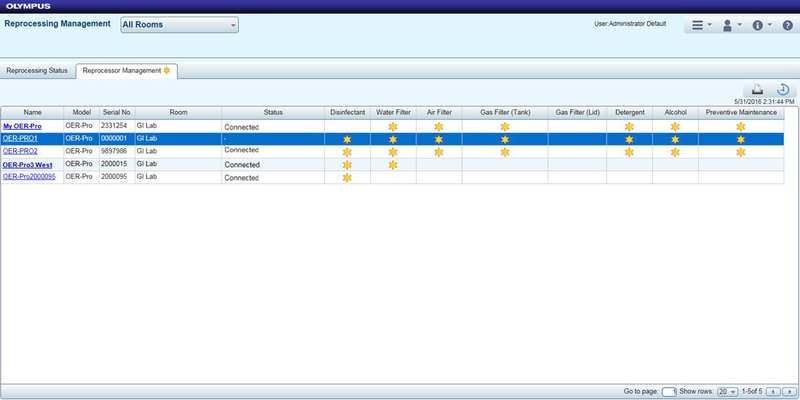 The Reprocessor Management dashboard shows how your OER-Pro is operating and when preventative maintenance is needed.